Tricia Stokes is a Senior 3D Artist, currently working on VR projects for the Emblematic Group. She is a 16-year veteran of the gaming industry, having worked on numerous AAA titles. Her specialty is creating inspiring interactive environments. Her interests include photography and traditional painting. 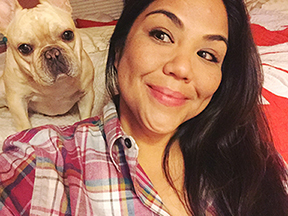 Tricia is a graduate of OTIS School of Art & Design and lives with her husband, and French Bulldog, Boogie in Los Angeles.